The use of illegal drugs is so common that a number of commentators now refer to the 'normalisation' of drug consumption. It is surprising, then, that to date very little academic work has explored drug use as part of contemporary popular culture. This collection of readings will apply an innovatory, multi-disciplinary approach to this theme, combining some of the most recent research on 'the normalisation thesis' with fresh work on the relationship between drug use and popular culture. In drawing upon criminological, sociological and cultural studies approaches, this book will make an important contribution to the newly emerging field positioned at the intersection of these disciplines. The particular focus of the book is upon drug consumption as popular culture. 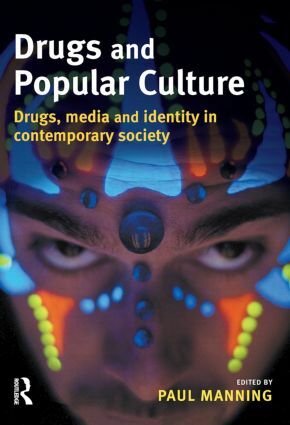 It aims to provide an accessible collection of chapters and readings that will explore drug use in popular culture in a way that is relevant to undergraduates and postgraduates studying a variety of courses, including criminology, sociology, media studies, health care and social work. Women, drugs and popular culture: is there a need for a feminist embodiment perspective?